Find below the list of top schools in Nanda Nagar - Indore with phone number, address, 360° School tours, 2018-19 Admission forms & Fees, photos, facilities & more. Shri Bal Vinay Mandir is located in Nanda Nagar, Indore. It was established in 1954. This school follows the CBSE board. The school has English medium. 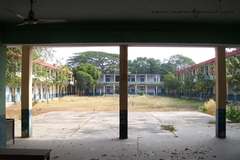 St Joseph's School is located in Nanda Nagar, Indore. It was established in 2001. This school follows the CBSE board. The school has English medium. 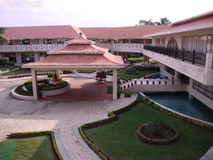 Daisy Dales School is located in Sukhaliya, Indore. It was established in 1990. This school follows the CBSE board. The school has English medium. 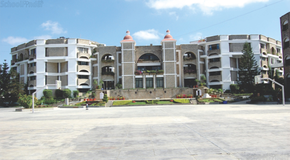 Prestige Public School Indore is located in Vijay Nagar, Indore. It was established in 2003. This school follows the CBSE board. The school has English medium. 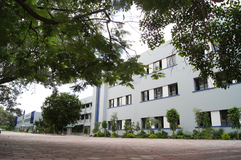 St Vincent Pallotti School is located in Sukh Niwas Road, Indore. It was established in 2004. This school follows the CBSE board. The school has English medium. "“In learning you may teach, and in teaching you may learn.” It is an indisputable truth that teaching involves learning. An educator should always be willing to learn. At the outset, I thank you all for showing interest and reposing your trust and faith on Mar Thoma Higher Secondary School. We run a huge responsibility of making your wards the responsible citizens of our country. We take pride in our educational and social services rendered to our society under the prestigious banner of Mar Thoma Church. We are striving for perfection in our students for the past 26 years. We are doing our best with your utmost valuable support. Our aim is to excel in the fields of education, sports and other cultural activities so that our students should not only be successful in their lives but also become honest and true human beings. We are indebted to you for your faith in us and seek your precious cooperation to perform even better. Are you worried about your child's admission to a school? 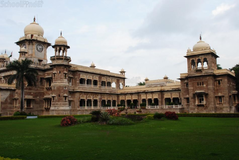 Worried about interviews in the best schools in Nanda Nagar - Indore? All it takes is a little bit of planning and going for a lot of options, which can be found on Sqoolz's list of best schools in Nanda Nagar - Indore. 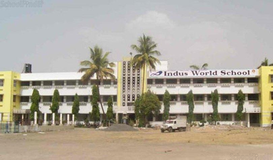 The top schools in Nanda Nagar - Indore are registered with us. Find all their details - location, address, fee structure, facilities and more! Also take our virtual tour, a feature that gives almost a first-hand experience to parents.